DriverDoc can clearly help you keep your computer running smoothly and hassle free. With DriverDoc on your side, you don’t have to wait any longer to experience the benefits yourself. *The free driver scan will ONLY identify which system drivers need updating. DriverDoc will NOT download and update system drivers without product registration. 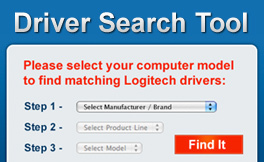 Registering DriverDoc will unlock all software features included the driver download feature. Product registration costs $39.95 USD and includes 1 year of software updates.